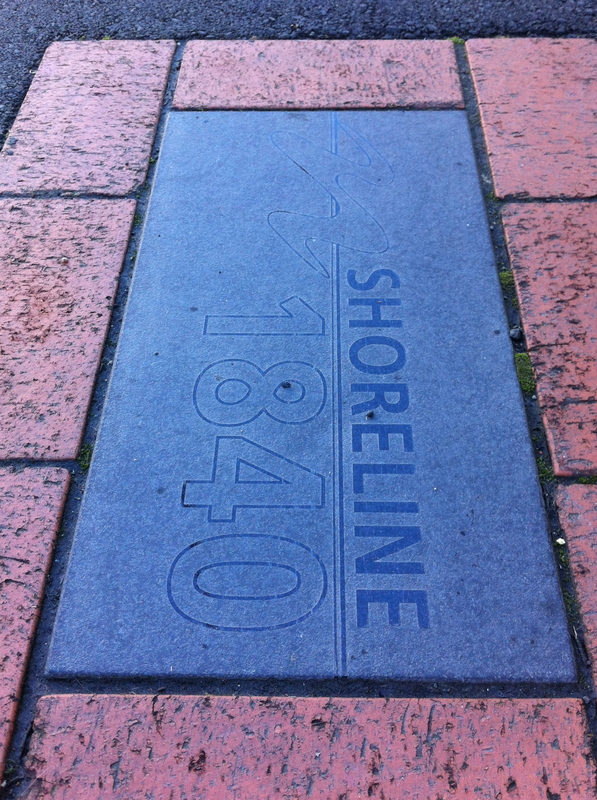 170-ish years ago, this spot on Bridge Street in Nelson apparently marked the foreshore – a good 1km away these days. 28 Aug	This entry was published on 28 August, 2012 at 13:00 and is filed under (Not) the Nelson Daily Photo, Away, History, Weather. Bookmark the permalink. Follow any comments here with the RSS feed for this post.